-Asher and Bella spent the night at their grandparents house last night. -We didn't get home until close to 1am last night from a bbq. -We slept in till about 10am. -I have a list of projects I want to get done with Brandon today. -Bella's first day of pre-k is tomorrow. -I have to go find a nap mat somewhere. Talk about last minute. -I like that I have an excuse to go to Target though. -I am still processing and digesting the beautiful night that the Project Hope event was on Friday. But to say that I was humbled and overwhelmed in the best way would be an understatement. -Asher finished his first full week of first grade. He did great. He is also growing like a weed. 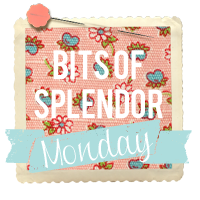 -I am re-thinking the structure of these Monday posts and also some of the way I do things here on my blog. -I got caught up on all of my shop orders yesterday afternoon and it feels so good. -I am getting tons of custom orders and I love it. -I have a ton of new pieces to add to the shop but just haven't had the time. Hoping to do it very soon though! It's my next focus. -My crock pot broke the last time I used it, so I need a new one. Totally bummed because it was the one we got for our wedding. -I am ready to light my fall candles. -I am ready for cooler days so that I can run any time I want and not just early in the morning or late evenings. -I failed my first week of training for the marathon last week. It was too much to keep up with all at once. But this is a new week and a new day. Praise Jesus. -I have a wall of empty frames that I have yet to fill because I haven't had the time. -I'm ready for a slower pace. I would love to be able to write a full on post about so many of the things on this list, but right now my brain is just not functioning that way. So instead I'm off to spray paint some chairs that have been waiting to get painted for weeks. And then maybe finally pick out some pictures for those frames. How was your week? How did you find a bit of splendor? Link up with us and share! If you link up, please grab a button or include a link back to here. It's sort of the polite thing to do. Also, go visit some other blogs and say hello! P.S Enter code "EndofSummer" for 20% off in the shop this week only!! Bath and Body Works has a 2 for $20 special on their delicious fall candles! I have literally never agreed with a statement more than "I cannot wait to light my fall candles." Bring on the pumpkin & apple cinnamon! I've cheated: I've been lighting the fall candles for a week now .... oooooh, how I LOVE this time of year! Summer's great, but nothing is better in my eyes than the sights, sounds, and cool breezes of fall. God's Glory at its finest! when you said you had to find a nap mat - i immediately thought "me, too". but not for my girls. for me. So beautiful- inside and out! I hope Bella had a great first day!